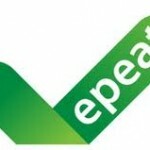 The OEM has 43 MFPs that have achieved gold status from EPEAT. In a press release, the company announced that it has “achieved the highest optional point total of all imaging equipment manufacturers”, and that it now has “62 active products on the EPEAT registry”. 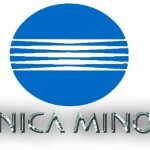 Konica Minolta also has another 24 imaging products on the registry. To qualify for the certification, the product must meet EPEAT’s criteria in “eight environmental performance categories” some of which are packaging, life cycle and the types of materials used to make the product”. These are then measured against both “required and optional criteria”, and the product must meet all of those in its category before being rated bronze, silver or gold. To achieve gold status, a “product must meet the requirements of bronze and silver status by meeting at least 75 percent of optional criteria”. he OEM’s equipment uses 100 percent recycled paper, and the company is committed to the Clean Planet Programme, which is a “free consumables recycling programme that adds zero waste to landfill and zero incineration”.